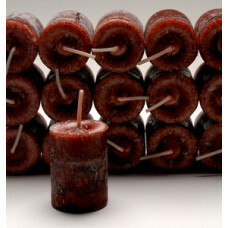 Querent Caller hoo Doo Candle is a brick colored candle with a sweet floral scent. 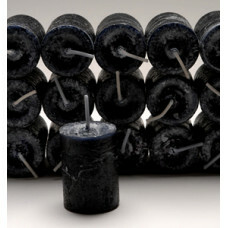 2” x 4&rdqu.. 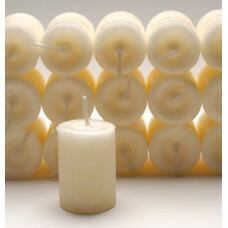 Recover Lost Money is a pumpkin colored candle with a sweet citrus scent. 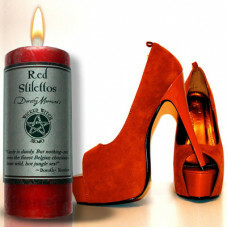 2" x 4" pillar burns for 4..
Red Stilettos Wicked Witch Mojo is a jasmine and orange blossom in a strawberry red 2”x4”.. 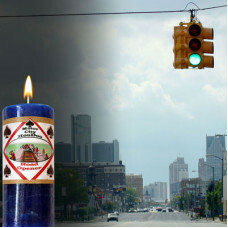 Reversing Hoo Doo candle is a two tone orange/red and black candle with a dual scent of clearing pep..
Road Opener Hoo Doo Candle is a deep blue candle with a cleansing juniper blend. 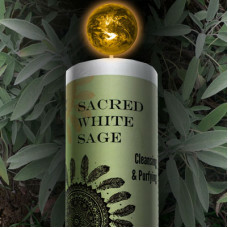 2” x 4”..
Natural white candle with a blend of three sacred sage oils. 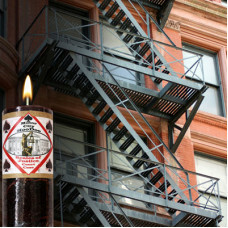 2.5” x 6.5” 80 hour candle ..
Scales of Justice Hoo Doo Candle is an earthy brown candle with a balanced woodsy/floral scent. 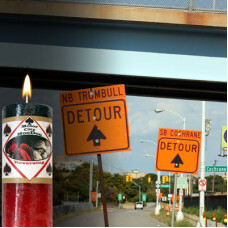 2&rd.. 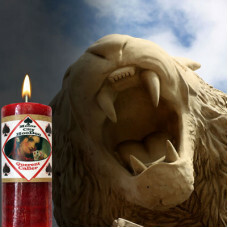 Shut Your Mouth Wicked Witch Mojo is an amber, Rose and Nutmeg in an Avocado 2”x4” candl.. 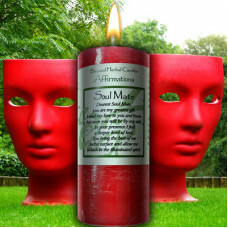 Soul Mate Affirmation Candle is a pale pink candle with a gentle floral blend. 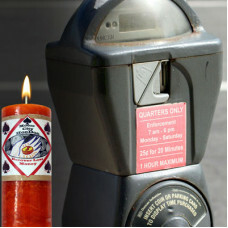 2"x4" pillar with a 4.. 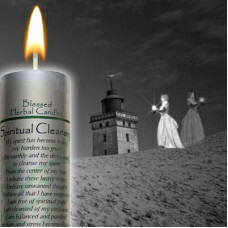 Spiritual Cleansing Blessed Herbal Candle is a tinted white candle with a lemongrass, sage and cypre.. 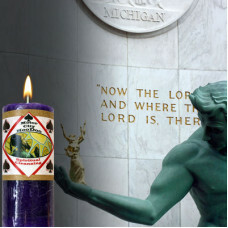 Spiritual Cleansing Hoo Doo Candle is a rich purple candle with an heady sage and cedar blend. 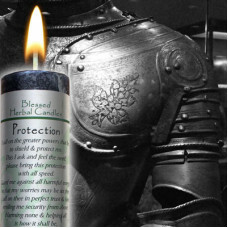 2&rdq.. 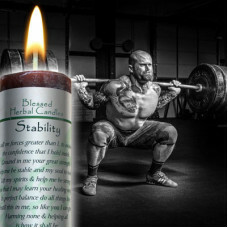 Stability Blessed Herbal Candle is an earthy brown color blended with a cypress & patchouli blen.. 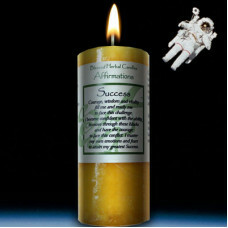 Success Affirmation Candle is a brilliant yellow candle with a energetic spice blend. 2”x4&rdq.. 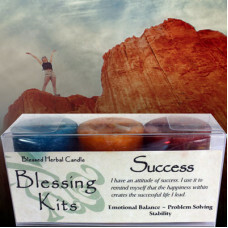 Success Blessing Kit is a triad of Emotional Balance, Problem Solving and Stability. 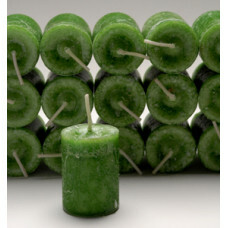 Votives burn fo..
Sea Foam Green Candle with a sweet grass blend. 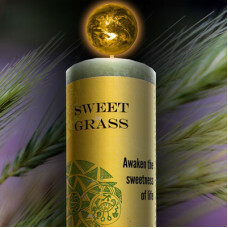 2.5” x 6.5” 80 hour candle Awakening the..